Are you wondering what your labor playlist should include? Most women want to incorporate music into their births, but are often confused about what type of music to listen to. Luckily for you, I have a degree in Music Therapy and am going to give you some advice on compiling your perfect, labor playlist! Music that is beautiful. For your labor music to be most effective, you need to love listening to it. Set aside time to truly listen and find music that you enjoy and look forward to hearing at your birth. It needs to be a lovely distraction that will be easy for you to want to focus on. Enjoyable music is subjective, and will vary from person to person. 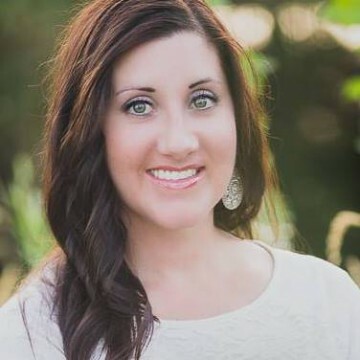 Music that relaxes you: My clients often want to listen to music that pumps them up, but this is usually the opposite of what you want during labor. Relaxation is key to a successful birth. Not only does being relaxed make contractions less painful, relaxation also helps labor progress in a timely manner. So pick music that is simple and helps your heart rate slow down, your breathing become rhythmic, and helps you feel at peace. Find pieces that are simple and free flowing, and with just one or two instruments. Something that reminds you of a peaceful stream. My favorite: Kelly Yost, Piano Reflections. Music that energizes you. This may sound like a contradiction to number two, but hear me out. Labor can be long, and often occurs during the night when we are tired. If you find yourself exhausted during your labor, then you need to find music that helps you wake up and become reenergized. It still needs to be relaxing, but can have a stronger beat and more instrumentation. The music should be rhythmic and entertaining enough that listening to it invigorates you and helps you stay motivated. My favorite: Chris Botti, Italia. Music that inspires you. Though lyrics can become bothersome as labor progresses, music with a positive message can help keep your mind optimistic and your heart happy. Music with religious significance or positive messages can do wonders for your mental health during labor! My favorite: “I Surrender All” and Sia, “Unstoppable”. Music that makes you feel like you. Sometimes labor can be long and frustrating. Have some tunes on hand that always lift your spirit and make you happy. Don’t listen to them for too long because they probably won’t be appropriate for all of labor. But it’s ok to take an emotional time-out and listen to something fun and upbeat to help you get your game face back on. Adding the right music to your labor can make your birth less painful and more relaxing. Practice relaxing and breathing slowly as you listen to your music. This will help your body automatically relax when it hears your labor music on the big day. Want more information? 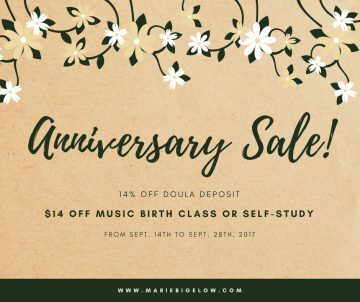 Music Birth classes are offered monthly in Boise, ID. 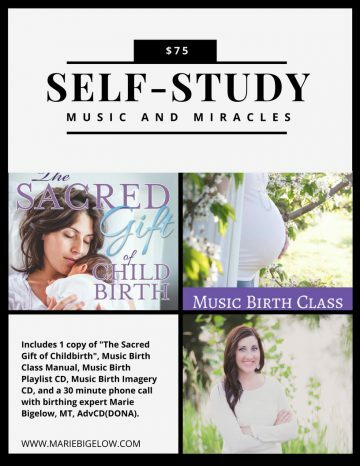 I also offer a self-study course, Music and Miracles, which includes one copy of my book The Sacred Gift of Childbirth: Making Empowered Choices for You and Your Baby, Music Birth class manual, Playlist CD, Imagery CD, and a 30 minute phone call with me (Marie Bigelow, doula, music therapist, author, childbirth educator).